To provide a space with the right electric power is essential, not only to count with energy enough to make our electronic devices work, but also to make sure nothing goes wrong and there isn’t any mistake that could lead to further problems. For this reason, when it comes about the construction of a new place, hiring a contractor – better if it is a specialized electrical contractor – becomes vital. Moreover, periodically checking our electrical wire is also important, mainly if we are buying a second-hand property. There are many electricity companies in Dewas that provide electrical maintenance services apart from supplying your home. Their professional and experienced electricians will take over the whole electrical wiring, from the electrical panel to the electrical switches. When it comes about power supply, sometimes it is hard to face the payment of the electricity bill. Therefore, it is important save as much electricity as possible. Look for the payment method that fits you better. There may be prepaid electricity options. Unplug the devices that you are not using. Leaving them on standby still consuming electricity. 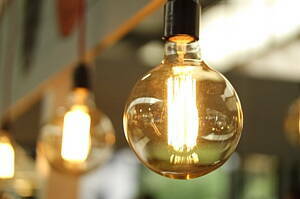 Use compact fluorescent lamps since they use less power than other bulbs. You can insulate the roof in order to save electricity spent on hitting. At Infoisinfo we always work very hard to be able to provide you with useful information so that you can easily find the best products and services for you and your company in Dewas. There are many energy possibilities in Dewas. We want you to count with the right and safe electrical installation at home, at the same time that you obtain enough energy power by an affordable price. Thus, we would like to help you by offering you a list of the best electricity companies in Dewas so you can choose from. Contact details are provided on our website, like for example address, opening times, phone numbers or website of each company. In addition, you can have a look at the comments and valuations from other clients so you can get a better idea about the quality of their electrical projects.